I am a big fan of shortbread cookies. Love. Them. I still remember the first time my aunt baked a batch for Christmas. I believe I ate approximately fifteen cookies in one sitting before realizing there was a reason why my mom called them “butter” cookies. But butter laden or not (hey, it’s Christmas! Calories don’t count this time of year…) they were delish! This Christmas, I wanted to change up my usual holiday cookie repertoire. So, what’s better than a melt-in-your-mouth shortbread cookie?? 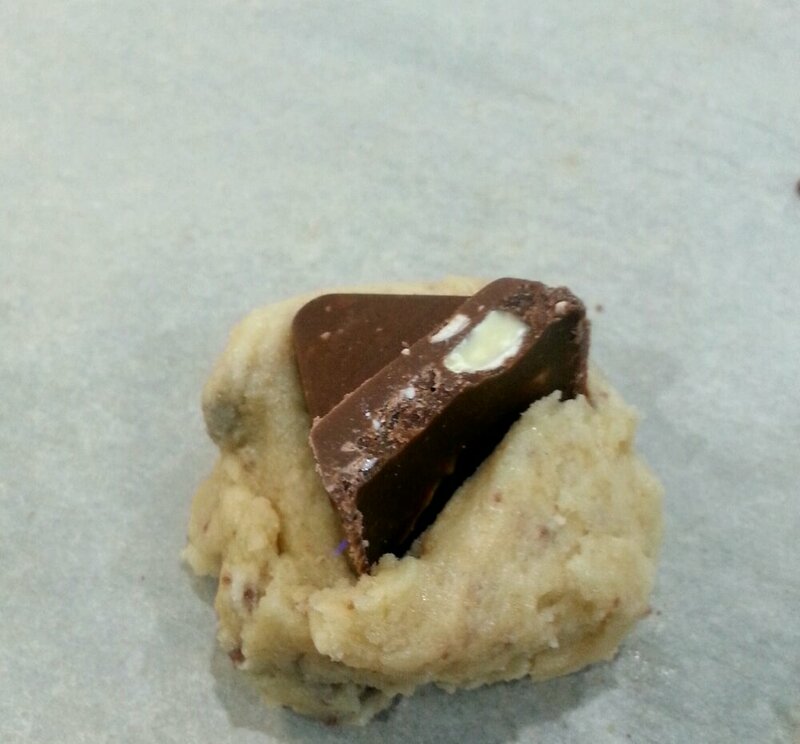 A TOBLERONE melt-in-your-mouth shortbread cookie!! I chopped up some Toblerone chocolate to put into my shortbread (don’t you just love the tiny flecks of chocolate in each cookie?) 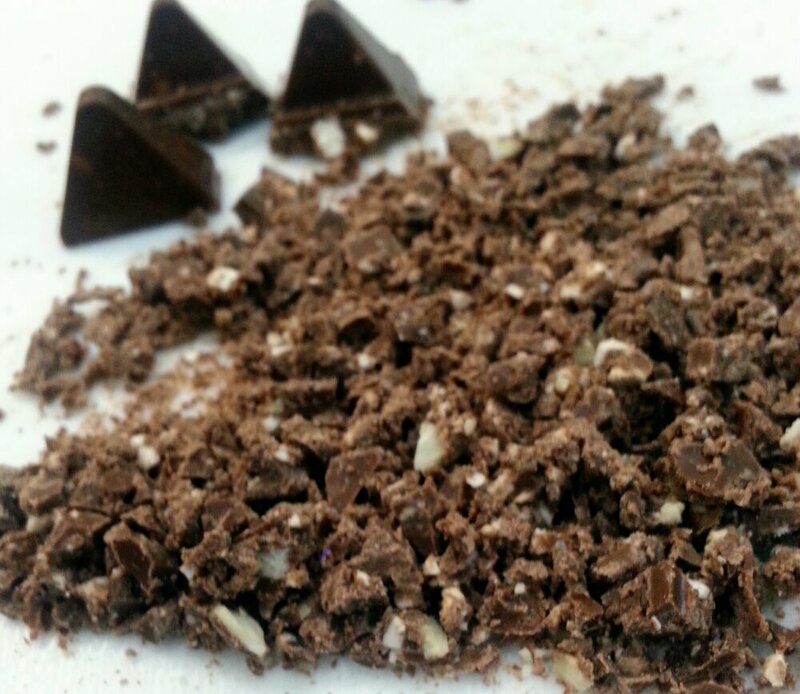 and topped each one with a signature Toblerone triangle. What I liked was how easy these cookies were to make and with only a few ingredients. You probably have them all in your pantry, aside from the Toblerone. So, what are you waiting for? 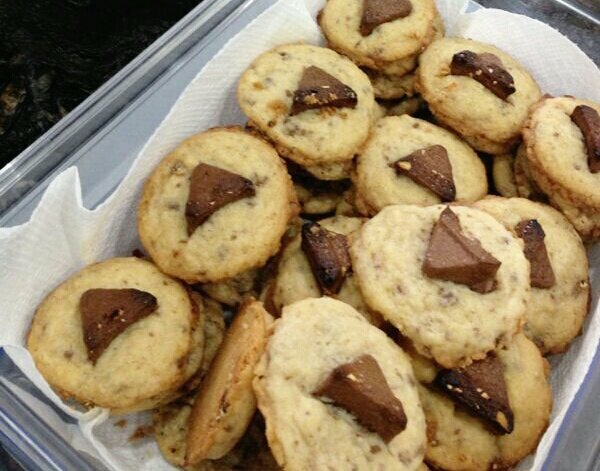 Grab a stick of butter and whip up some awesome Toblerone shortbread cookies. You (and your family and your tummy!) will be happy you did. 1. Preheat oven to 375F. Line baking sheet with parchment paper. 2. In a medium bowl, cream butter and sugar together until light and fluffy. 3. Add flour and cornstarch gradually while beating continuously until light. Add chopped Toblerone bits. 4. Drop tablespoons of dough and slightly flatten onto baking sheet. 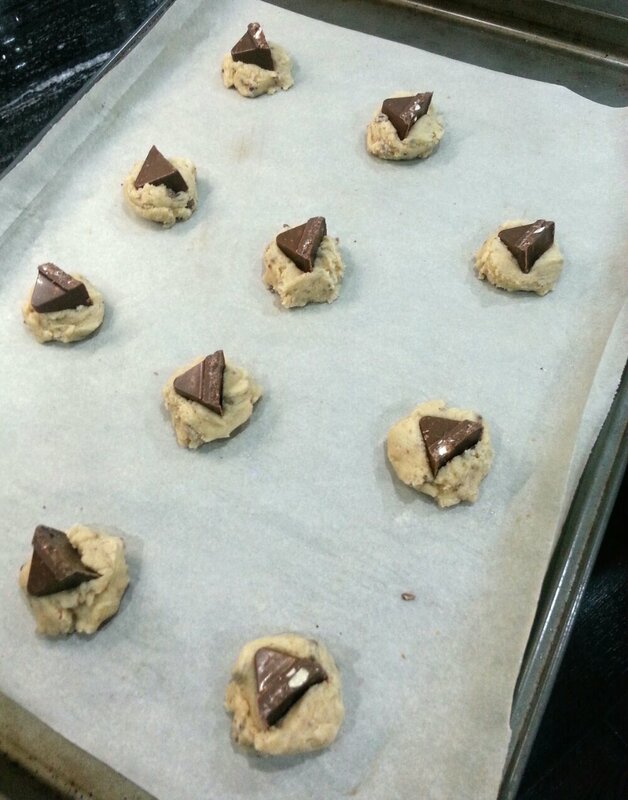 Squish Toblerone triangles in the middle of each cookie. 5. Bake for 12-14 minutes.